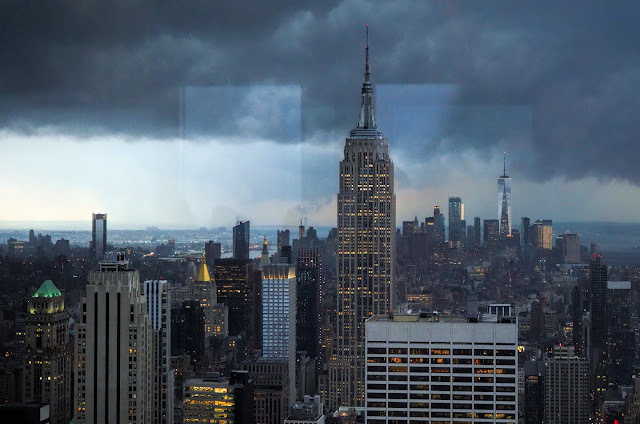 This was taken through a window at Bar Sixty-Five above 30 Rock, so there's a bit of a reflection there, but it's pretty spectacular all the same. We were in the middle of a dramatic thunderstorm, with lightning flashing through every window. No lightning in the photo, unfortunately, but I love those spooky skies over the Manhattan skyline.